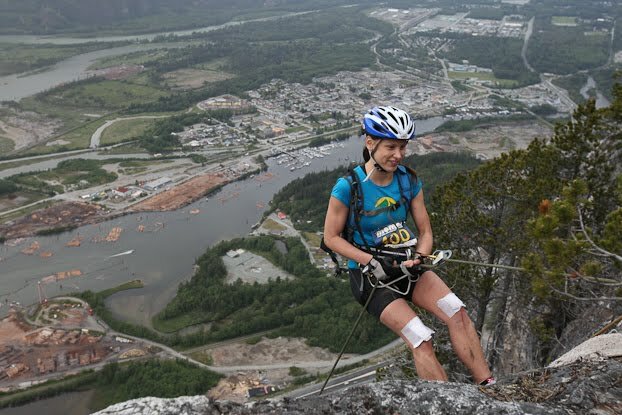 While many of us were barbequing, camping or sleeping in this May long weekend, Nick Hammerschmidt and Megan Fretter were celebrating the holiday in a much less conventional manner – with a 50-kilometre, 8-hour adventure race across Squamish. On May 22, the two Bachelor of Physical Education and Coaching students took part in the Mind Over Mountain Adventure Race (MOMAR), a grueling annual event that sees participants running, mountain biking, climbing, rappelling and orienteering over 50km of varied terrain in and around Squamish – all in a matter of hours. Megan, a long-distance runner for the Douglas track and field team, has no reservations about admitting just how tough the event really is. “It was one of the hardest things I’ve ever done, mentally and physically,” says the 21-year-old. Megan first found out about the race from classmate Nick. He works for outdoor sporting goods retailer Atmosphere, who sponsors a team for MOMAR each year. “He knew I was ‘Mrs. Adventure’ so he asked me… and of course I said yes,” says Megan. So Megan and Nick, along with two others, formed Team Atmosphere. Nick says he’s glad he found the team-members he did because, in MOMAR, teamwork is key. 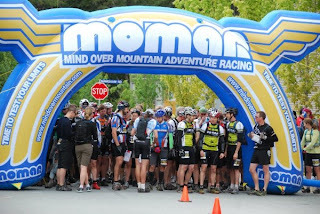 Unlike some other multi-disciplinary races, MOMAR is not completed in a relay format; rather, all team members complete the entire race together. They are required to keep each other in eyesight at all times to avoid a costly time penalty. “It helped us to really focus on keeping the team together,” says Nick, 20, who also plays on the Douglas rugby team. 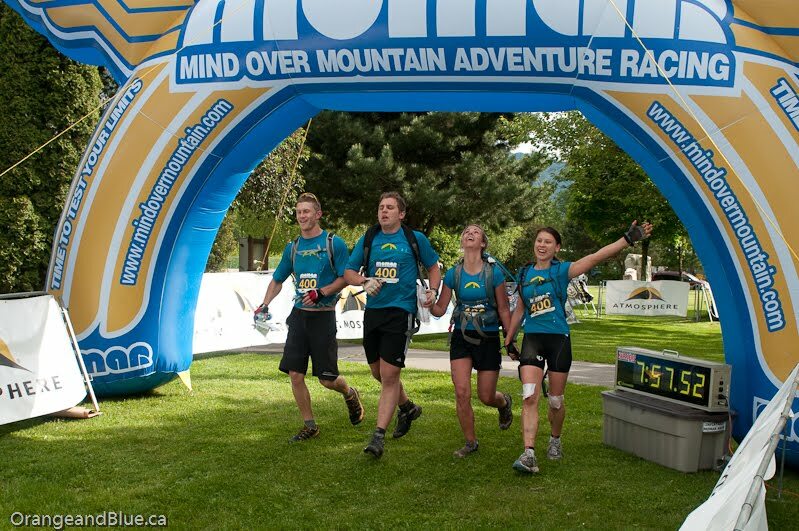 So, on the morning of May 22, Team Atmosphere joined dozens of others on the starting line in Squamish. The race began with a 600-metre run around Quest University. 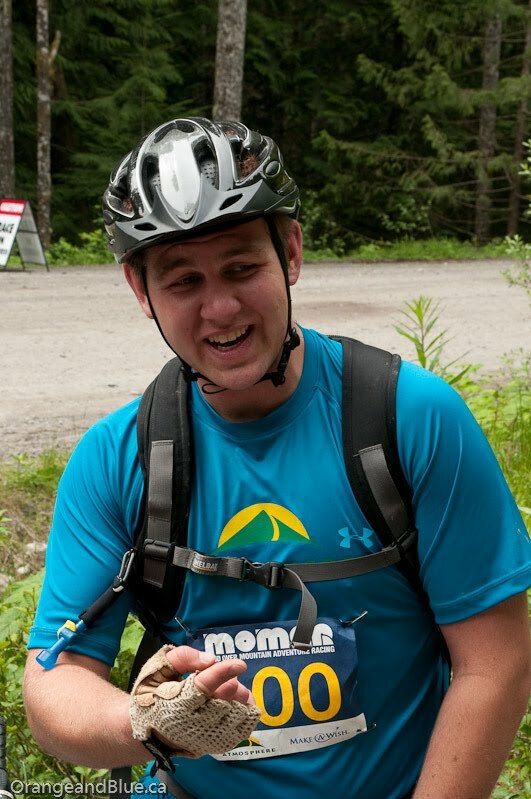 Next, participants hopped on their bikes and headed into the hills for cross-country and downhill mountain biking. They then got a bit of a break with an Orienteering section, but not for long - next was a steep hike part-way up the famous Chief, followed by rappelling straight back down. Finally, they jumped back on their bikes and headed towards town, where they dropped the bikes and ran as a team across the finish line. 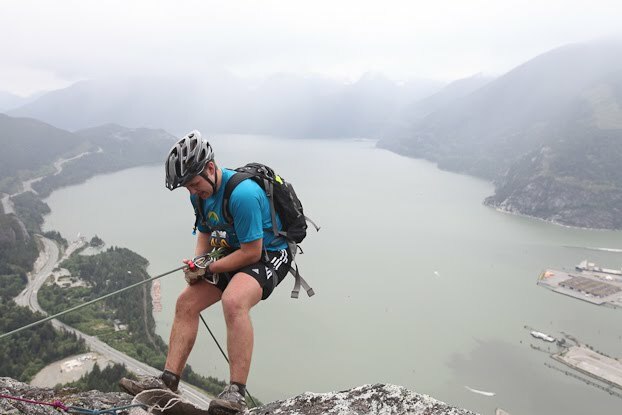 “The toughest part was definitely running up the Chief,” says Nick. For Megan, a mountain biking rookie, the hardest part of the race was the downhill biking portion. 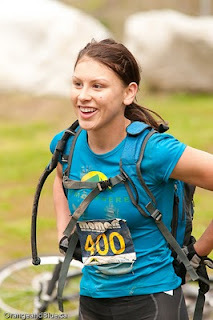 “The trails were really technical. I was screaming the whole time,” she says. At one point, she gave the rest of the team a scare when she gathered too much speed and bailed – hard. “I went right over my handlebars and ate it into the dirt,” she says. But despite cut-up knees and a coating of mud, she was determined not to slow down her team. Nick says he and the rest of the team were impressed by her drive to continue. “First Aid wanted her to stop but she just wanted to keep going,” he says. 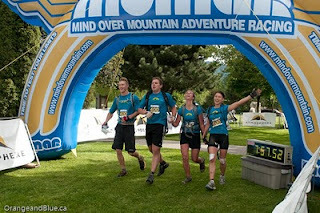 The team finished in seven hours, 57 minutes and 56 seconds, just quick enough for the qualification cut-off time of eight hours. But since they got every checkpoint along the way, while several other teams skipped checkpoints to get a better time, they ended up finishing fourth in their category. “For our first MOMAR, we’re all pretty happy with the result,” says Nick. “Three out of four of us, it was our first time ever doing this. We didn’t know what we were getting ourselves into!” adds Fretter. Despite cuts, bruises and a recovery time of “at least three or four days”, both Megan and Nick say they plan to conquer the MOMAR again. But they also say they probably wouldn’t attempt a challenge of this magnitude without the support of a team. “The team really adds a level of support. It’s a really mental game to do a race like this, and having the team there to cheer you on really helps,” says Nick. 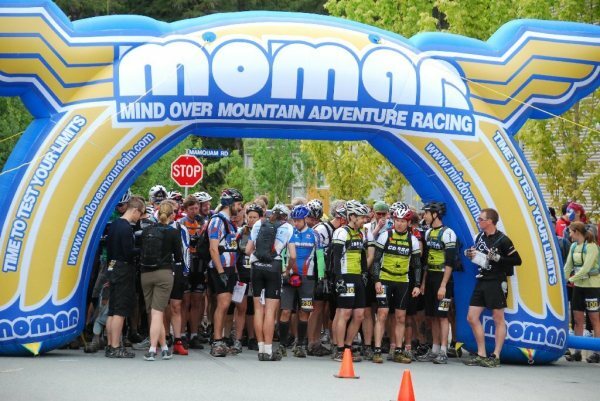 For more photos of the MOMAR event, see the MOMAR photo gallery.